Several PESA Members were honored today with a GRIT Award from Experience Energy, a division of Pink Petro. The event honored 38 global energy leaders. PESA Engagement Committee Chair Angela Knight, Global Diversity & Inclusion Leader, Baker Hughes, a GE company, was presented with an individual award for her work in embracing growth and innovation in the oil and gas industry. BHGE was awarded the GRIT Champion Award for Transformation, and the Growth Award was presented to the Women of Weatherford Network. 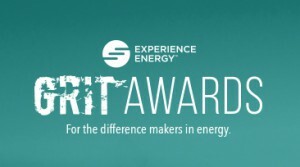 The GRIT Awards were created to recognize women leaders in energy, and the men who advocate for their progress. The award is for the unsung leaders who are down in the trenches getting the job done regardless of what recognition may come their way.